Rehoboam (Hebrew: רחבעם, Rekhaḇʻām; Greek: Ῥοβοάμ, Rhoboam; "Name means::he who enlarges the people"), (1016 BC-r.975-958 BC by Ussher or 971-r.930-913 BC by Thiele), was the immediate successor of successor of::Solomon. He inherited his throne at the age of forty-one. He is best known as the king under whom the United Kingdom of Israel split into its Northern and Southern (Judah) halves; he continued as king of Judah for seventeen years. The authors of the Books 2 Kings and 2 Chronicles both refer to him as an "evil-doing" king. husband of::Mahalath and husband of::Abihail, two of his wives, the one a granddaughter of David and the other a niece of David. They bore him, among his other sons, father of::Jeush, father of::Shamariah, and father of::Zaham. Maachah, his favorite, daughter (or grand-daughter) of King David's rebellious son Absalom. She bore him Abijam (or Abijah; this man was also his successor), Attai, Ziza, and Shelomith. Note that the three named wives above were all his first cousins, except that one was his first cousin once (or twice) removed. 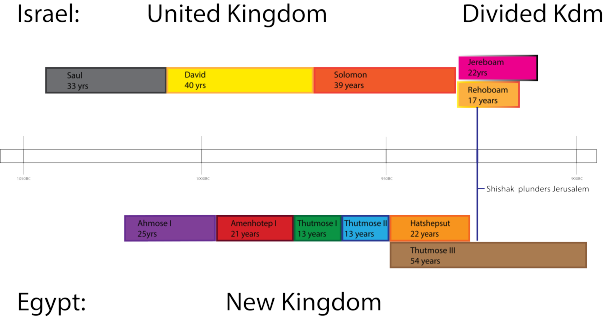 Rehoboam assumed office at a critical time in the history of the United Kingdom. Solomon had imposed a severe tax and forced-labor burden upon the people, to pay for his massive building program. Now that he was dead, the people wanted relief from these burdens. Rehoboam came to the Northern city of Shechem to receive his crown. Ten of the twelve tribes chose a spokesman, the future Jeroboam I, to deliver a simple plea for relief. Rehoboam told Jeroboam and his followers to wait three days for his decision. During this time he consulted two sets of advisers—an elder set and a younger set. The elder advisers told him to grant the relief, saying that the people would appreciate it. The younger advisers told him to impose a yet heavier burden as a means of asserting his authority, which, as they told him, had just come under challenge. In response, the ten tribes walked away from the coronation and chose Jeroboam as their king. Henceforth, these tribes called themselves "Israel." The tribes of Tribe of Judah and Benjamin alone remained loyal to Rehoboam, and these two tribes now united as the Kingdom of Judah. This kingdom took the name of the larger of these two tribes and the one from which the House of David came. Wood suggests that Rehoboam might have exerted diplomatic or other pressure on the Benjamites to stay in the Kingdom of Judah, instead of following Jeroboam and the ten tribes. Rehoboam, if he did this, probably wanted a buffer zone between Jerusalem and the Kingdom of Israel, given that Jerusalem rested on or near the Judah-Benjamite border. Rehoboam at first sent his chief tax collector, Adoram, into the territory of Israel to collect the annual tribute. The rebellious Israelites stoned him to death, and Rehoboam immediately fled back to Jerusalem. There he conscripted a 180,000-strong army and prepared to march into the Kingdom of Israel to bring it to heel. But the prophet Shemaiah came to him and told him to desist, saying that God Himself had brought this split in the kingdom about, as a posthumous punishment of Solomon for his various apostasies toward the end of his reign. This did not mean, however, that the two kingdoms were at peace. Though the massive clash of arms did not take place, Rehoboam built many fortifications along the border with the North (as did Jeroboam), and military confrontations--most likely border skirmishes--occurred as long as the two kings were both on their respective thrones. After Rehoboam had called off his invasion and demobilized his army, all the Levite families repaired to the Kingdom of Judah. Jeroboam had chased them all out and set up his own alternative state religion. In the third year of his reign, Rehoboam felt settled in power. At this time he fell away from the way of God, and the way of King David. (Throughout the history of the Southern Kingdom, King David's example would forever be the "gold standard" of regal behavior in the sight of God.) Specifically, the people of the Kingdom of Judah built altars to Baal and set up high places and Asherah poles throughout the land. They also joined several cults and indulged in the sinful practices of these cults. In the fifth year of Rehoboam's reign, he suffered Divine retribution for this negligence. Pharaoh Shishak (of whom the most likely candidate is Thutmose III), invaded with an army of 1200 chariots, 60,000 cavalrymen, and an innumerable coalition force from Libya, Ethiopia, and a third nation called "Sukkiim." As this force was approaching, Shemaiah delivered another dire message to Rehoboam: that the Lord would not defend them, because they had forsaken Him. The leadership of the Kingdom of Judah showed contrition and admitted that this invasion was indeed an act of Divine Justice. The Lord, seeing this contrition, restrained Shishak from destroying Judah utterly. But Shishak plundered Jerusalem of all the golden shields and other appointments of the palace and the Temple. Rehoboam commissioned shields of antique bronze, and had them brought out only on state occasions, and kept under lock and key between such occasions. In one area if no other, Rehoboam showed good sense. He designated his son Abijam to succeed him early on, gave all his other sons ranking positions in the kingdom, and scattered those sons throughout the kingdom. Therefore Jerusalem did not have a palace clique engaging in intrigue. The Bible records no conspiracy against Rehoboam or among his sons. He died after a seventeen-year reign, and Abijam succeeded to the throne, per his orders. ↑ 4.0 4.1 4.2 4.3 4.4 4.5 4.6 4.7 4.8 Konig, George. Rehoboam, or Roboam, King of Israel. AboutBibleProphecy.com, 2007. Retrieved June 22, 2007. ↑ Authors unknown. "Entry for Abijah." WebBible Encyclopedia. Retrieved June 22, 2007. ↑ 10.0 10.1 10.2 10.3 10.4 10.5 10.6 10.7 Authors unknown. "King Rehoboam - Biography." 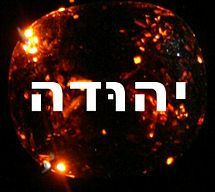 The Kings of Israel, hosted at http://www.geocities.com/ Retrieved June 22, 2007. ↑ 11.0 11.1 11.2 11.3 11.4 Blank, Wayne. "Entry for Rehoboam." Church of God Daily Bible Study, 1998. Retrieved June 22, 2007. This page was last modified on 14 January 2015, at 00:30.